Turn off the lights and grab your controller because it’s up to you to - erm - turn them back on. That’s the basic premise behind WayForward’s spooky puzzle game LIT. 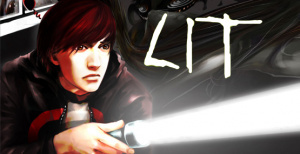 LIT puts you in the shoes of Jake, your regular pale-faced emo teenager, whose girlfriend is missing in a school that has become overrun with a mysterious darkness that turns worryingly hostile if you get too close. The only way to get through is to find available light sources to cut through the shadows to get safely to the exit door. 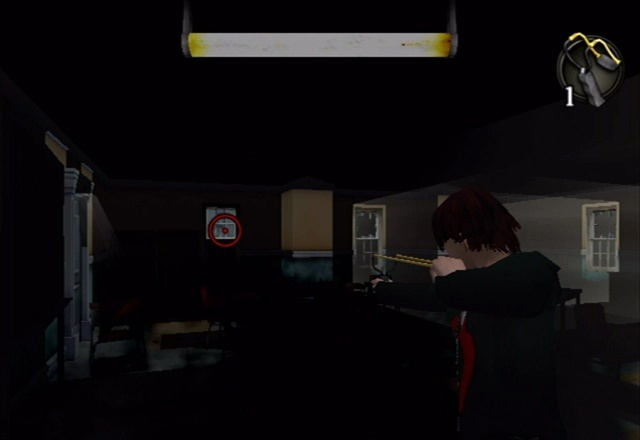 To escape the school, you’ll have to help Jake traverse the 30 darkened classrooms and defeat five dark and twisted school faculty members with whatever tools you can find on site. Each classroom is a self-contained puzzle and has different items and lights that you can use to find your way around. Lights have different properties, such as lamps that shine a circle of light, rotating lights that move a beam of light back and forth and motion sensors that turn on when they sense movement nearby. Even TVs and computer monitors become useful elements and can be turned on to provide a path to freedom. Some classrooms will also have windows that can be shattered to provide much needed illumination. To break them you’ll need to find some slingshot ammo or cherry bombs; both of these items can be found in the various classrooms. You’ll also find TV remotes to operate the TVs and flares to bridge small gaps. It’s a given that the shady nasties of the dark aren’t going to make life simple for you, even when you’re packing pockets full of cherry bombs. A single step into the darkness and you’ll be pulled under only to start the stage over. Additionally, someone’s been messing with the fuse boxes, and a bar at the top of the screen will fill whenever Jake turns on any of the lights. Turn on one too many lights and the fuse will pop, plunging you into darkness. Jake did come prepared however, as one item you’ll always have with yourself is your trusty, rechargeable flashlight (shaking charges it up). 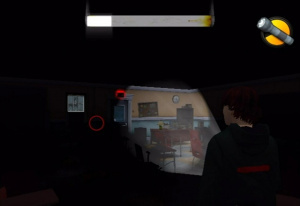 The flashlight gives a few moments to investigate your surroundings and plan your next move. LIT is controlled with the Wii Remote and Nunchuk, with the analogue stick controlling Jake’s movement. You’ll use your on-screen cursor to direct your flashlight as well as to aim when using certain items. The "B" button switches your active item and the "A" button uses the active item, as well as interacting with nearby objects, such as switches. Some items use the Wii Remote’s motion sensing to make it a little interesting, such as a flick to start a flare, a toss to throw a cherry bomb, and a shake to charge up your flashlight. The control system works well in principle but there are moments of tension where you’ll be cursing the context-sensitive commands. It’s far too easy to inadvertently trigger something when pressing the A button, when in fact you meant to interact with an object that appears, to the player’s eyes, to be a safe distance away. It’s not a deal-breaking issue and careful control can avoid it, but it’s a shame that the developer couldn’t have worked a bit harder with this aspect of the game. The puzzles in LIT are pretty original and in some later stages require a fair bit of thought. One cannot simply run in and just turn on each and every light; most puzzles involve making paths of light and following them to the exit. Later on however, different puzzles require careful timing, effective use of the stage’s items, and managing the fuse’s power consumption. Interestingly, Jake will even be required to break some lights and computers to keep the fuse in check. Sometimes the solution to a room feels a little obtuse, but in the tradition of classic adventure titles, a little "trial and error" usually helps you to the exit. Puzzles aside, bosses provide the biggest challenges as you’ll need to figure out how to shine some light on them while avoiding whatever attacks they may throw at you. A single hit will take you back to the start of the stage to try again, which can get pretty frustrating, but at least it keeps the tension high. LIT’s best feature is undoubtedly its fantastic art style. The stages themselves are a canvas of black and white, clearly showing what’s safe and what means certain death. Turning on your flashlight and looking around the room will cause the darkness to dissolve away, revealing creepy monsters and bugs, racing back to the shadows. Occasionally, you’ll come across ringing phones that allow you to listen to your girlfriend -- who is also trapped somewhere in the school -- through the Wii Remote’s speaker. These phone calls are incredibly spooky and are used to communicate most of what story there is since Jake is the usual silent protagonist. LIT is a highly original take on the puzzle genre that uses its oppressive atmosphere to focus the action and deliver an innovative experience that you’re unlikely to find in most other puzzlers. The main issues relate to the sometimes awkward controls, slightly inconsistent puzzles, and occasional bouts of frustration. Having said that, for 800 Wii points, you get lots of stages to play through (plus unlockables), and even a time trial mode called Dark Mode. WayForward put a lot of time and work into LIT and it shows; it’s not perfect but if you’re in the mood for a puzzle game with a difference, break out your flashlight and watch out for what hides in the dark. All Rachael phonecalls subtitled (in English, French, Italian, Spanish, German, Dutch). C Button activates room objects, A button still activates handheld objects. No more accidental lamp deaths. When shining flashlight around, objects remain lit longer. Minor adjustments to ease of flashlight control. Never thought this comes so fast like...the snowboard riot review you know what i mean....i hope. Wow! A WiiWare game that actually sounds really good! Which is why I agree totally with ALDAWGZ about the low score. In fact, when you consider that most of the 7/10 games are actually quite mediocre, I'd say that Lit ought to be a 9/10 game. What lump it in with the rest of the crap? As a developer I'd find that quite discouraging. I hope you guys will give Scott a warm WWW welcome. I think he did a sterling job with this review. Here are my thoughts on LIT from a quick play yesterday. I played for another hour or so after writing that... some of the puzzles later on made me want to tear my hair out (in a good way though!). The way that some of the puzzles were put together so well it reminded me of Toki Tori, when they 'clicked' it all made sense and I appreciated the intricate detail in the design. Some I just muddled through with trial and error and left me thinking WTF. It's definitely a quality game which stands out from many other WiiWare titles, but I felt foul of a few of the control niggles myself several times. You do need to be very careful and precise with your actions, which isn't the end of the world but could have been improved on I think. Sorry Scott! A warm welcome to WWW from the grumpiest reader/subscriber! Your review was excellent but the score, less so. I've played up until the first two bosses and I agree with this review. It's decent but nothing mind blowing. It also seems like it will be kinda short. The use of the Wii mote speaker was neat. If I wasn't already a horror fan I probably would have passed on this but It wasn't a total loss. Now I'm just Waiting for Cave Story. Welcome Scott!! Very nice first review, this one looks good but, this is not my kind of game, not an horror fan, and actually this IS another puzzle game, I'm not complaining, I just have more than enough thinking to do with WoG and TokiTori. A 7/10 seems perfectly reasonable to me, there were enough niggles listed in the review to justify this. It seems to tally with IGN's review also. I'm looking forward to your next review Scott, guys he's a keeper! Not that I will ever get to play this game myself. Heck Contra 4 DS isn't even out in Europe yet! Welcome Scott, well written review, the guys did a good job picking you. The review makes me wanna buy it, so I will! Having read the IGN review I'm more inclined to agree with 7/10. Good review then Scott! Nice first review. You did a good job describing the premise and what worked/what needed work. As for me, there are several games I need to get before LIT so it'll have to wait, but I hope to get it sometime soon. Great review Scott! I've really enjoyed LIT so far. Great review Scott! You got it out pretty quickly too! I thought that, "your regular pale-faced emo teenager" was a particularly good line! I'm really impressed with your first review. I really look forward to more from you in the future! "It’s far too easy to inadvertently trigger something when pressing the A button, when in fact you meant to interact with an object that appears, to the player’s eyes, to be a safe distance away." Although I'm not getting this game, it's too bad they couldn't fix all the kinks. Good review. I definitely think this is a "Good" game, no better or worse. Don't listen to the score complaints. The other games ranked as 7 should be lower. ...I may pick this up down the line, though. This game sounds pretty damn good. And quite spooky actually. 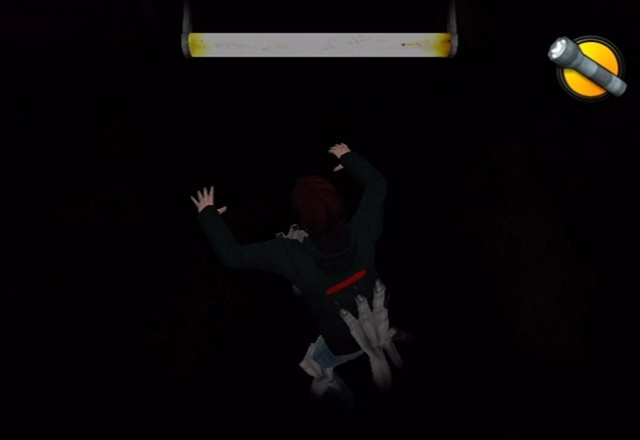 The bugs crawling away from the light when you use the flashlight sounds pretty cool. Once I get my next points card (sometime after I beat MadWorld) I might just have to pick this up. Welcome Scott. Good job on getting that review out. Personally I got this not because of the puzzles (We've had more than enough of those for now) but because it was a "horror type" game. I hope we get more of these in the near future. In regards to accidently turning things on, maybe it wasn't an accident that they did this. It was probably an intentional hazard. I've messed up like this to but, if you are paying close enough attention you should always be able to tell what you're really activating before you do so. @ChickenBrutus - You neeeed them huh? What do you need them for? Just messin with ya. I just like the way you said that. @shadx - This is a nice take on a puzzle game. The dark and or creepy atmosphere is cool. @ALDAWGZ - 8's probably about right. Making it a 7 also makes it seem like most other games and this is definatly above average for WiiWare. Welcome Scott and great first review. Glad you went into specifics about the controls. It sounds like you'll go through a lot of trial and error especially with the somewhat touchy controls, but overall LIT sounds like a great game. WiiWare definitely needs more original concepts like LIT and I'll make sure to get this in the near future. Bit.Trip.Beat has to come first, you know. great review. It does seem like a 7 is the mark (at least here) of a generally pretty good game. Like if its a WW game it means you've basically gotten your moneys worth if its 7 and up. at WW prices, things might be short or have some untapped potential, but 10 bucks? It's great to have these options at all. There are some typos and odd grammar, if you want to be picky, but this is an otherwise great review. Welcome to WWW, Scott, they keep a high standard here and your review does it justice. I've really got to do more investigation on this Beat Trip Beat to figure out why everyone is so hyped up about it. I saw a little about it. Didn't make me too excited, of course I might not have read enough about it. Brilliant first review Scott (I've never seen a better response to a first one!) - very well written indeed. I also think the game deserves an 8, it's a smart and imaginative puzzle game with a cool style, and the only real flaw is that it's a little short on content. Nice review though. Review already?!!! I know it takes a while to play through and review a game but I wish reviews would always be posted this quick. I already bought this yesterday but haven't played it. Glad it got at least a 7. I like your pic. I'm at Rivet City right now trying to finish up a couple missions. The game is just so long! Pretty much what I expected- a fun game but I doubt I'd be getting my money's worth, personally. Not my kind o' game. Well written review! Looks like a nice game! Your review was excellent but the score, less so. Since when was a seven a poor score? God... one of these days I might actually bribe Corbie to change your name to "Angry and Somewhat Confused Calculon". As for the game: I can't wait, and will download it on the day of release in Europe. Looking forward to more reviews by you Scott. Welcome Scott and a great first review. I look forward to reading more from you soon. I expected this game to get around a 7, it looks interesting but I'm saving my Wii Points for a game I'm more decided on. Bit Trip might be that game I'm waiting for. This just might beat out some of the top 3...........naaahhhh. I've been broke as a joke recently, but this could be the game to get me to throw more money at Nintendo. Looks too good to pass up. Any impressions from those who've taken the plunge and downloaded? I will probably get this, as I love this kind of game. I think this is a lot of fun. I've reached the second boss but haven't managed to beat it yet. The game is simple, cohesive, atmospheric, and challenging without being too frustrating (so far, at least). I think that 7/10 it's a little low.. This game is surely addictive and have a great quality. I played through the first boss, and I'm glad I picked this up. There are little touches that ramp up how complicated the play mechanics, and once I figured out each new wrinkle, it was an aha moment. Someone made a comparison to Tiki Tori, and I agree. So far, it feels like a puzzler, but it is unique enough and refreshing in the gameplay, that I would not lump it in with other puzzlers. A demo of the first few levels would have been huge for this, I think. I wanna thank you all for your AWESOME comments! Great to be a part of WiiWare World and enjoy the best Wii has to offer. Wow, a 7? I guess you can't judge a game by its cover. Nice review, this game is very nice! Now this one deserves at least an 8 or something. Its pretty good actually. Wow. After reading the review, this sounds like quite a decent game. I might grab it. Hi, I just stumbled upon this site and I love it and this was a good review! Also, I just got Lit a few days ago and I love that too! 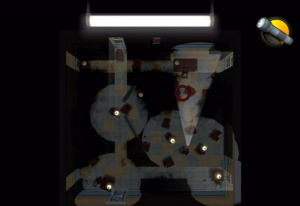 So far im on room 117 and i think this game has a great idea with the use of light, the levels look similar throughout but it suits the setting of the game, visually it looks good, the puzzles are well done, and i find the girlfriend's phone calls really funny at times. I agree with a few of the people above that it should get a higher score compared to other wiiware titles in the 7 range, but i had too much frustration with the controls to say it should be up in the 9's (...o man, just make sure you watch the top right corner of your screen before you press A) . Overall, great game! Welcome to the site Bops! Its strange that Lit had so bad sells. Normaly i would thought that this game will be in Charts 5-10 for a longer time. Perhaps the puzzle lovers fear the dark and buy something sweeter! I hope it will have more luck in Europe! Looks like a great game. Hardcoreists will probably see this as a 8 or 9/10 I estimate. really good and original game. I'm not a big fan of a lot of puzzle games or games with "fetch this, or use this key" kinda puzzles but I love logical puzzles like say abe's oddysee so this is great. nice mix of puzzle, action, and a horror setting. motion control with flashlight and slingshot are nice. only thing that could be better is in game graphics for the characters. I read a review saying they should have stuck closer to the concept art and I couldn't agree more. the art by fsc is great but the graphics in game are only ok and could have had more detail or at least style. still gameplay is great and something that stands out as unique. I think I'll buy this on Halloween so I can be scared. ill tell you guys wht i think if i buy it. HE'S NAMED LIKE MY NAME!